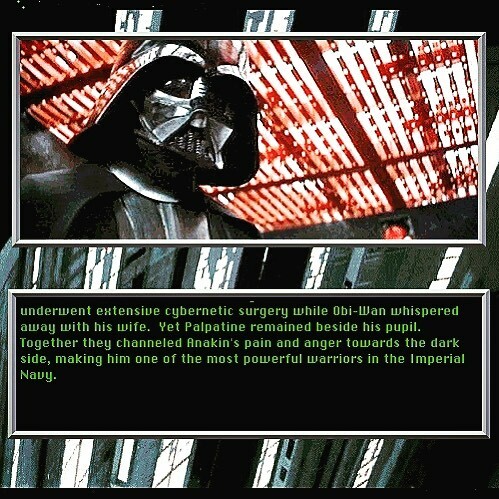 I installed Star Wars Screen Entertainment (from 1994) on an emulated Mac OS 8 environment, and BOY did I learn a lot. I mean seriously. Obi-Wan did what?! I’m learning so much. Too bad it’s non canonical because of the prequels of which I won’t speak. But wow. I have to wonder if this is a glimpse into Lucas’ brain in the 1990s.